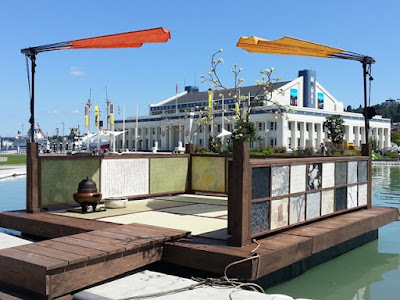 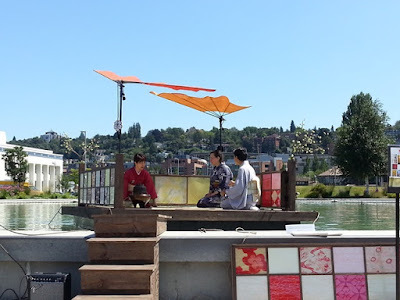 On July 26th, I had the opportunity to see Furyu (Light Breeze), a one-of-a-kind floating tea house created by artist and lighting designer, Yuri Kinoshita. 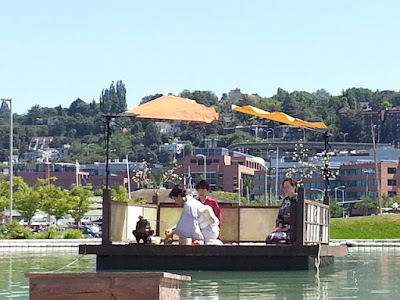 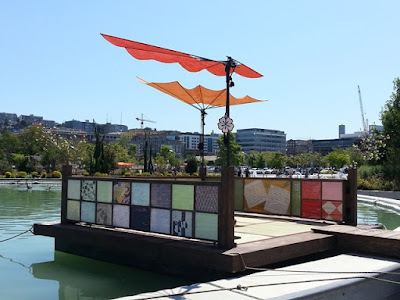 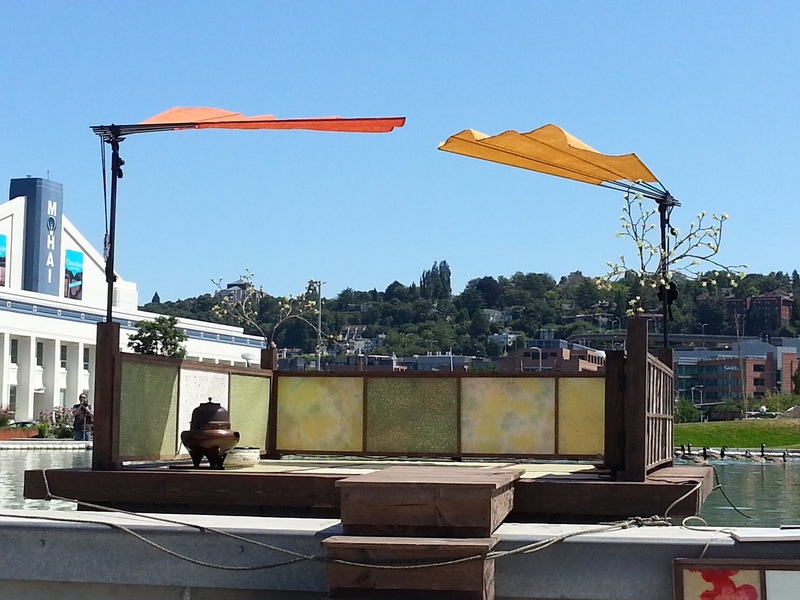 Furyu was on display for one weekend only, floating in the pond at Seattle's Lake Union Park. It was beautifully lit in the evening and in the daytime the tea house was sheltered by two large open fans in the style of chaseki-sen, folding fans used in tea ceremony. 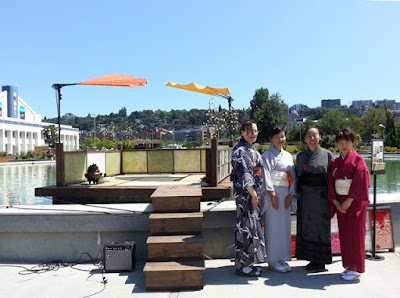 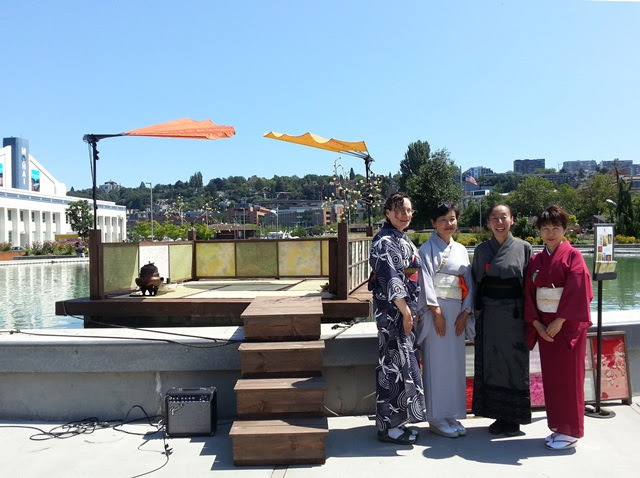 Throughout the weekend, visitors could see tea ceremony performed by members EWCC (East West Chanoyu Center).